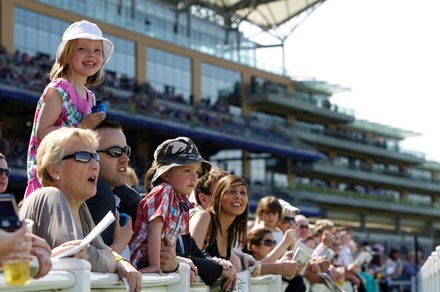 "It's all free once you get in"
Over half a million people head to Ascot Racecourse each year: the thrill of the horses crashing round the course, the excitement of a little flutter and the wow factor of a grandstand heaving with people cheering and willing their horses to get ahead. It really does make a great day out. Even better, for families, on their seasonal Family Days where children are tempted along with the promise of pony rides (free of charge); sheep dog and goose demonstrations; falconry and the chance to meet some lovely, friendly farm animals. Each child could also have their faces painted, and do the Kid's trail, play crazy golf, scale climbing walls plus, of course, see the horses up close in the parade ring and race on the course. Best thing: its all free once you get in and if you get there early there are hardly any queues. 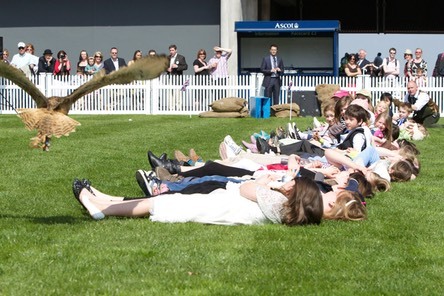 You can even spread a rug and enjoy a picnic on the lawns watching the racing. Worst thing: it gets really busy after lunch and refreshments are expensive... bring a picnic! Parking: Car parks nearby, arranged with the purchase of your tickets. Admission: Grandstand �16.20; under 18's free if accompanied by an adult; car park from �6.00. Next Family Days: 22 July, 11 August and 3 November.